My Hope – 2017 | Kierra Raine and Co.
Last year, I had the word REST circling through my mind. I felt like I had so much to learn. I have lived a rather driven life. Performance was huge. Fear of coming up short or missing a key point in life kept me second guessing myself and scrambling to stay on top and upright. Having my life turned upside down and inside out and shaken around like crazy had me in a whole new location in life. I needed to REST. It wasn’t that easy. In fact, some of the resting was more of a tug of war between my heart and God’s Will. He won 😊 He’s patient like that, loving me when I’ve worn myself out of options and logic. I’m still learning to rest, but I had an amazing thing happen last year….one of my biggest struggles and tug of wars was answered in an amazing way when I RESTED in God and let Him take control. It leads straight into 2017. We are having a baby. In three short months, we could be looking into the eyes of our littlest son. I’ve been using the word HOPE a lot these last 6 months. We HOPE for a healthy baby. We HOPE he doesn’t have NCS. We HOPE he can enjoy Life. HOPE. It’s what I hang onto. It’s also one of those words that roll off people’s tongues like ‘Love’ or Have a good one’ or ‘See you later’. It’s simplified and the value of it doesn’t always pack the punch it has. There is is much hanging on HOPE. So much emotion and sorrow and joy and anticipation and all around the edge is the dusky shade of unknown. It’s an anchor of a word. A ‘hang on’. A ‘don’t give up’. A ‘do or die’. While part of me hangs onto that glorious word, and other part of my heart still cringes just a bit. My mind still does these crazy little games when I hear myself saying, ‘we hope for a healthy baby,’ because if we HOPE for health and he isn’t healthy, is it worth hoping? Did that hope not mean anything? Would we have been better off to avoid the highs of hope, the dreams of hope, and simply turn off our hope monitor? Shut it down? Stifle it? Because if he isn’t healthy….then will he have heard us say ‘we hope he’s healthy?’ Will he somehow feel like he is a disappointment? Are we being unfair to Kierra’s memory to hope for a healthy child like Kobe instead of fighting all the challenges that she did? It makes you feel like a bad parent because you want to embrace both your children’s lives the same, but you can’t wish for the quality of life Kierra had over Kobe’s healthy life. It’s complicated. While I loved Kierra wildly, I also Hope for a healthy baby. For their sake and ours. Totally natural, I know. BUT. I still feel like if this little guy has NCS, I need to quickly swallow all my ‘ hope for health’ words for fear he’ll feel like he’s a disappointment. For fear that others will look at me with pitying eyes and wonder if my hope has been totally misplaced and broken. I feel silly even admitting this. I also see I’ve used the word Fear. That word doesn’t even belong anywhere near the same sentence of Hope. Naming fear for what it is takes its power away though, I’ve found. So fear…..here I come! You better get ready to tremble in your shoes and sceedaddle out of here. There’s just no room for you. 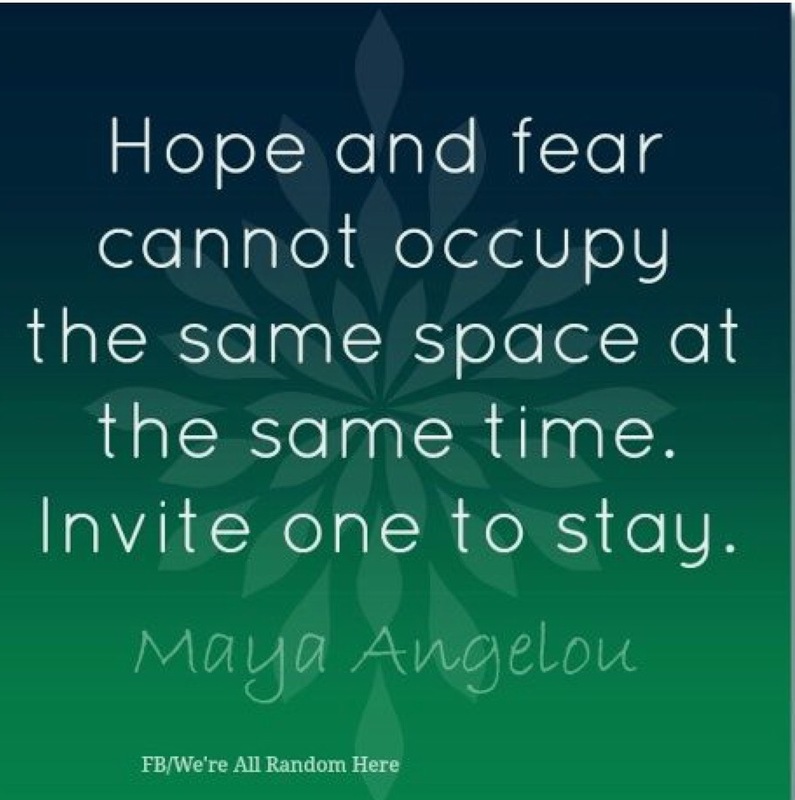 Hope and fear don’t go hand in hand. Hope is gorgeous. 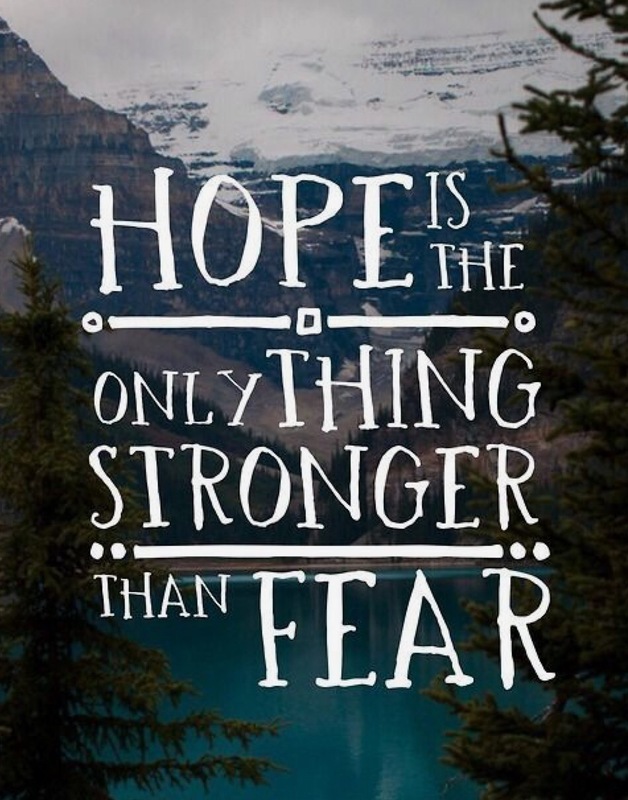 Hope is full of life and expectation. It spreads radiance everywhere. Fear is dark. It’s binding. It grips like a vise. It doesn’t let go and it hides in the smallest most innocent looking places. Fear holds you back. Hope embraces with welcoming arms. Fear paralyzes. Hope releases and sets free. I know without a shadow of a doubt that we will love our little baby…no matter what. I know we will live like there’s no tomorrow. I also know that nothing in life is a guarantee. That health and life are a gift from God. That every life has a purpose and that sometimes Gods glory shines the brightest in the hardest. So while I continue to HOPE I also pray. I pray that this baby would bring GLORY to God. That above all else….that God would be glorified. It’s scary. Because I feel like I’m opening our lives to pain. I also know that Gods Glory is revealed through joy and miracles and amazing health and gifts. I know that the only way I can face the future is by RESTING in HOPE. Diagnoses will not win. Hope will not be broken. It is born in Heaven and resides in Heaven and will be filled in Heaven. That’s eternity! ” So God had given both his promise and his oath. These two things are unchangable because it is impossible for God to lie. 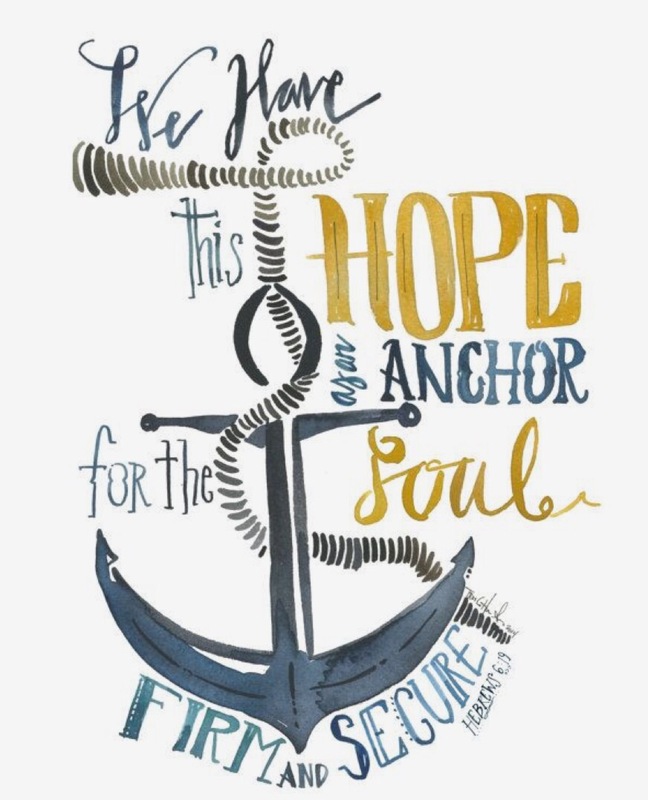 Therefore, we who have fled to him for refuge can have great confidence as we hold to the HOPE that lies before us. And you know, if Jesus has already gone in there before us, we have no reason to fear and Hope is all we have left. If I could close my eyes while I read this :), I could pretend we would be together, just like the many times we have talked over cups of coffee- the sort of writing that reminds me of that. This post is perfectly timed, for I am also adventuring into unknown, although my circumstances are different. I want to shrink back and hide away, instead of writing and launching a book which is such new territory for me. 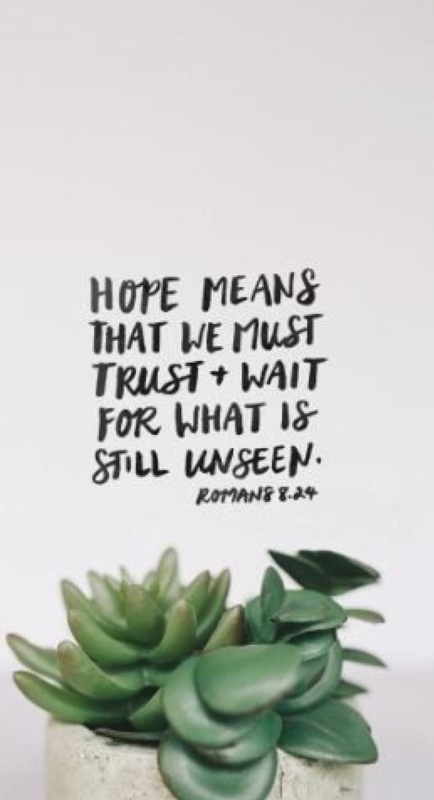 But Hope and fear , this was exactly what I needed to read, for God and my husband have been showing me the hope and I reach for it, for it is what I really want. And then satan whispers his lies laced with fear. Oh the struggles, but oh sweet peace in the victory. I love this post! My story is so very different then yours then but somehow the words about treating your kids equally when they are so different stood out to me because I often find myself battling thoughts that run along the same line. With foster and Bio kids in the same home, Ive learned that sometimes ‘being fair’ is simply not possible so I can only hope that I err enough on both sides of the road so that each child will feel equally loved. I love this Grace! Totally! 💕 Blessings to you as you mommy different kids at different stages in life! I totally understand what you are saying. I’ve been praying for you ever since I heard that another little one is coming to you. Prayers for peace and rest, and HOPE. Your testimony is inspiring. Thank you so much Ellie! That means more then I can say…your prayers! God bless you!